Height may be the primary factor for which mountains are known for. But, height alone can’t determine the beauty of a mountain. It depends on several factors such as shape or location. Here the list of 10 most beautiful mountains in the world. 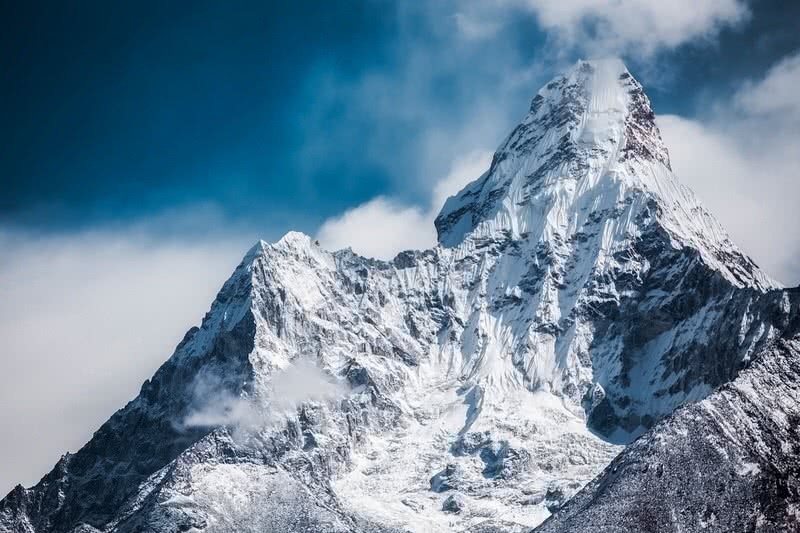 Regarded as the ‘Matterhorn of the Himalayas, Ama Dablam is a globally popular and beautiful mountain located in the Khumbu region of Eastern Nepal. This snow packed mountain stands at an altitude of 6812 meters. The Southwestern ridge of Ama Dablam is a famous climbing route for permitted expedition. 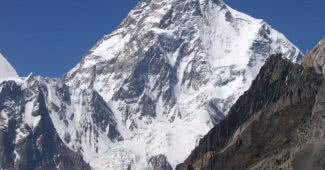 This same Southwestern ridge was used by Barry Bishop, Mike Ward, Wally Romanes and Mike Gill to made the first ascent to Ama Dablam on 13th March 1961. This route has varied level of difficulty. But the views are just breathtaking. 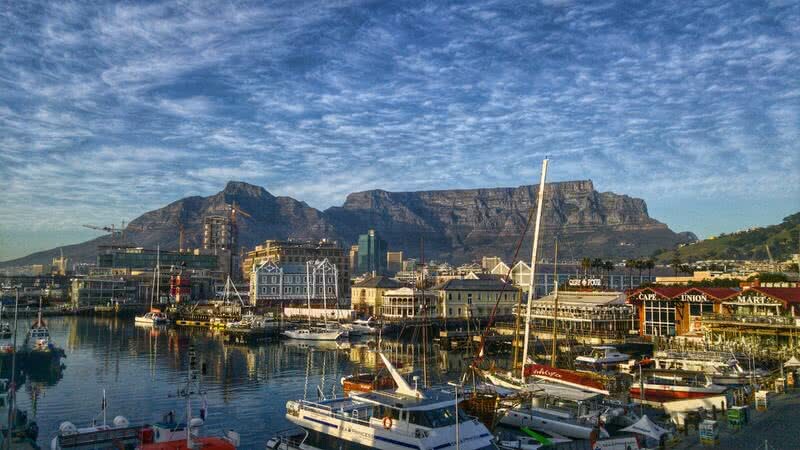 Overlooking the Cape Town city, the table mountain is a natural wonder of South Africa. This flat-topped, 1084 meter high mountain is a paradise for both nature lovers and hikers. This gorgeous mountain is a part of Table Mountain National Park. There is also cable car service that will take you to the top of table mountain. From the top, you can enjoy the magnificent 360-degree view of Cape Town. As said earlier there are also different hiking trails in the table mountain. Apart from all these, table mountain is home to a large species of plants and animals. Many of them are found nowhere else in this world. Situated on the British Columbia – Alberta border, on the Southern part of Canadian Rockies, Mount Assiniboine is one of the most beautiful mountains in Canada. 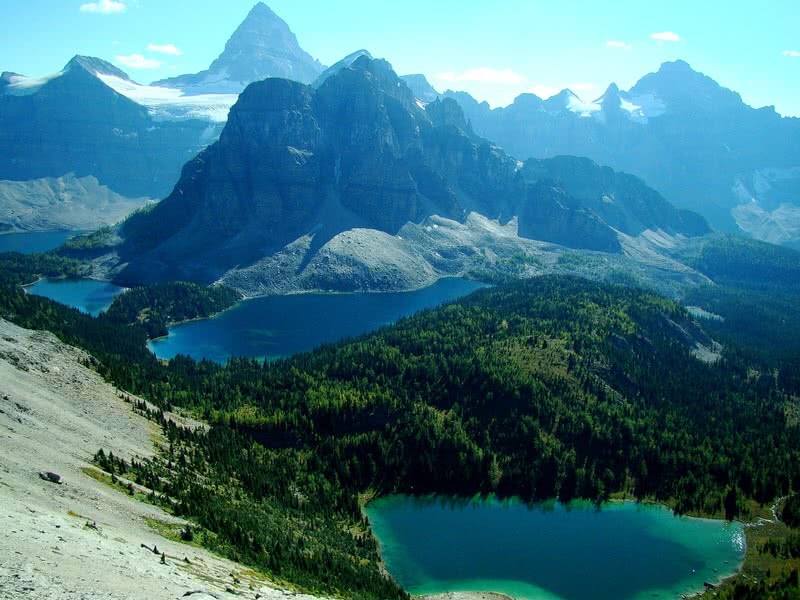 It’s a focal attraction of Mount Assiniboine Provincial Park. This 3618 meters high, striking peak is known as ‘Matterhorn of the Rockies’ as it has the same pyramidal shape like Matterhorn mountain. The iconic Eiger mountain situated in the Bernese Alps of Western Switzerland, on the Eastern side of a ridge crest that includes Monch and Jungfrau peaks. Eiger has an elevation of 3970 meters, and it looks amazing from all directions. The 1800 meters high North face is the most highlighting feature of Eiger mountain. It’s the biggest North face in the Alps. There are several routes to the summit of Eiger. But all are challenging. 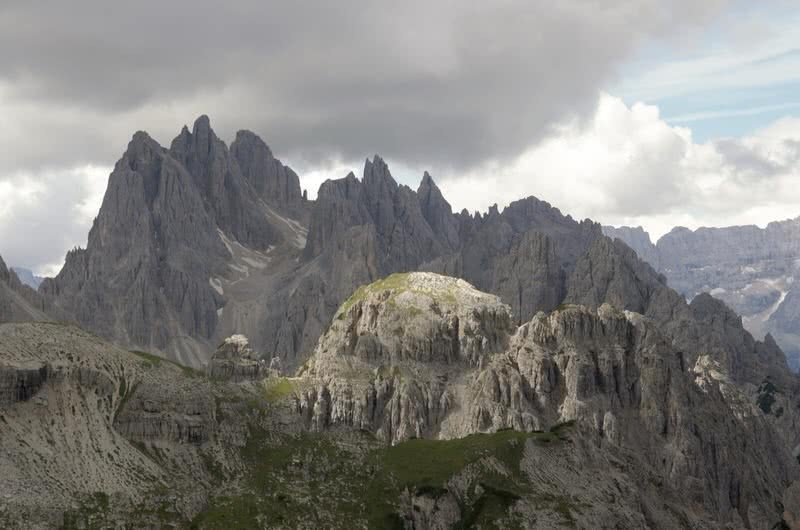 It’s a group of three peaks situated on the world-renowned Dolomite mountain range in Northeastern Italy. The three peaks are named Cima Piccola, Cima Grande, and Cima Ovest. This amazing mountain group situated at an elevation of 2999 meters. There are numerous routes that lead to this mountain group – both easy and challenging. Also, the views are just spectacular. All these make Tre Cime di Lavaredo as a real paradise for all type of hikers. At 3776, Mount Fuji is the highest peak in Japan. This volcanic mountain is situated on the Honshu Island. The last eruption took place in 1707. This magnificent cone shaped peak is regarded as a symbol of Japan. 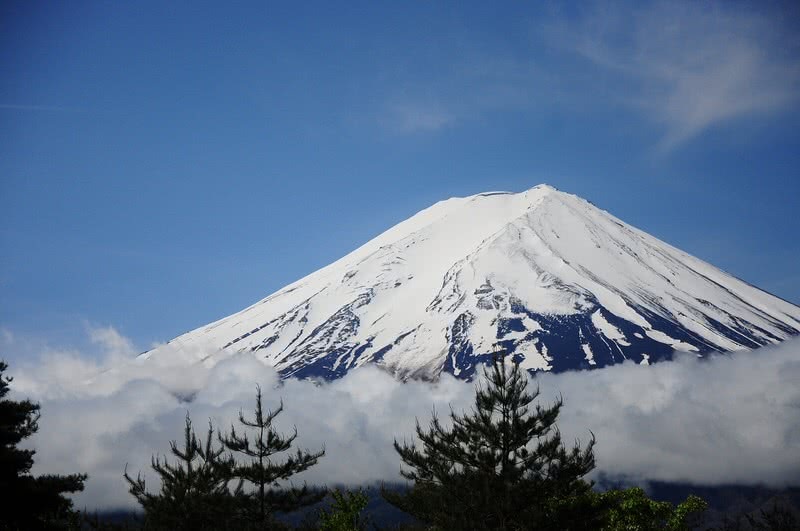 Climbing Mount Fuji is so famous among both Japanese and international tourists. It’s estimated that more than 200000 people climb Mount Fuji every year. The climbing season starts in July and ends in August. Ascent to the summit of Mount Fuji is not so difficult, and view of the sunset from there is just incredible. The magical mountain of Cerro Torre is situated on the Chile – Argentina border, in the Los Glaciares National Park. In fact, Cerro Torre a part of a mountain chain of four mountains. Other three mountains named Punta Herron, Torre Egger and Cerro Stand hard. The 3128 meters high Cerro Torre is the highest peak among this mountain group. 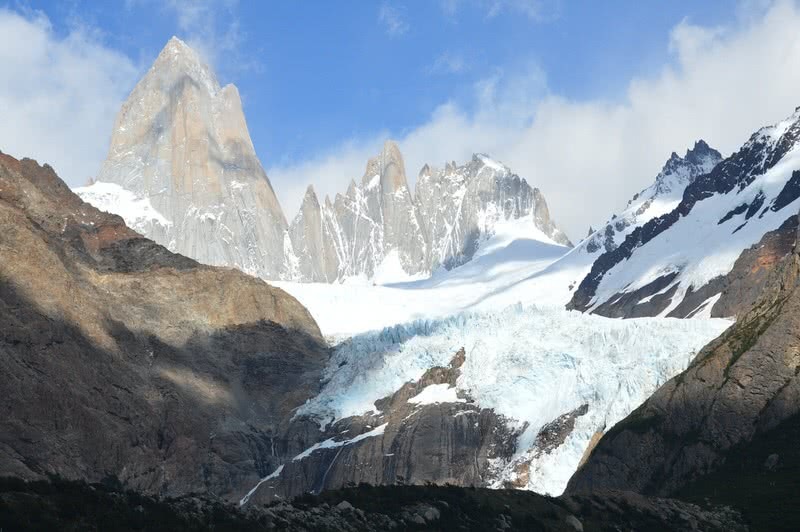 The most notable feature of Cerro Torre is its long pointed shape. It’s too hard to climb the Cerro Torre mountain, even for the experienced climbers. At 6190 meters, Denali is the highest peak in North American continent. It is situated in the South Central Alaska, in the Denali National Park and Preserves. Denali is also the third most isolated peak in the world, after Mount Everest and Aconcagua mountain in Argentina. 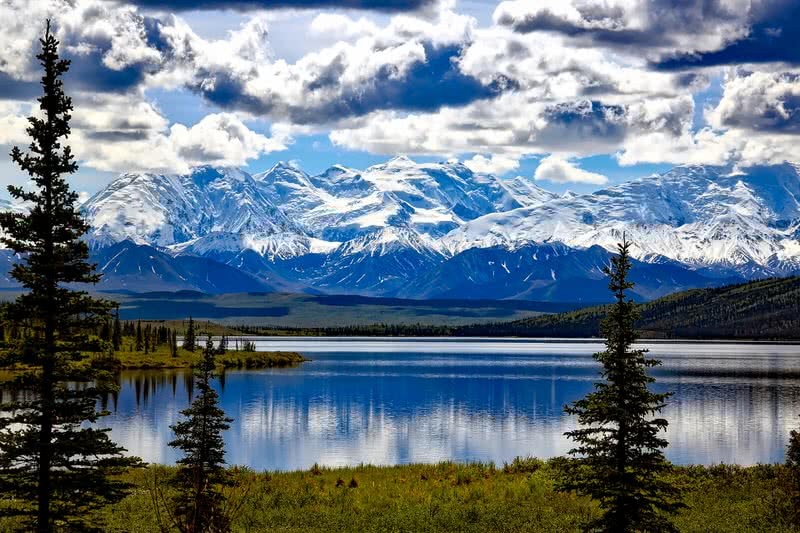 This spectacular mountain itself is the main attraction of Denali National Park. Standing high above six million acres of unspoiled wilderness. Even from far away, Denali looks just stunning. Because the upper part of Denali is covered with snow. This mountain is also home to five large glaciers. 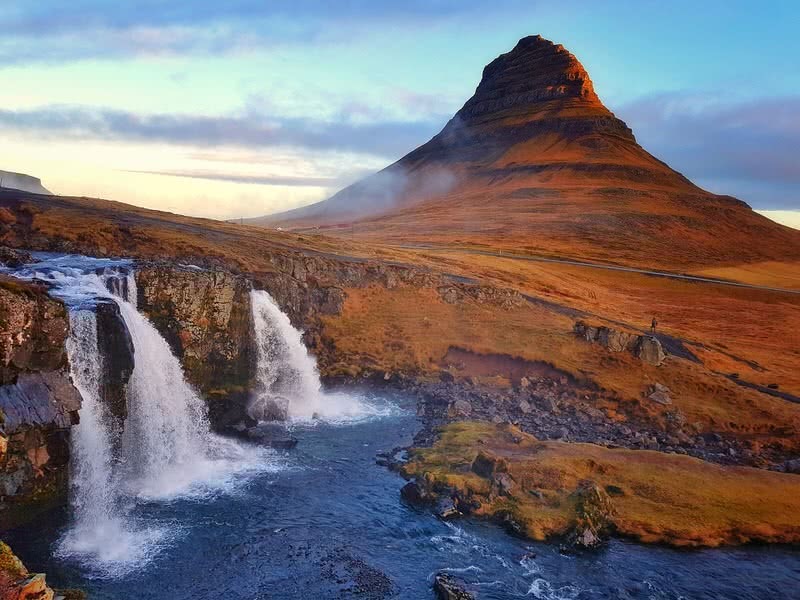 Kirkjufell is an impressive, 463 meters high mountain located in Grundarfjordur town in Snaefellsnes Peninsula of Iceland. It’s the most photographed mountain in Iceland. Near the peak, there is also a beautiful waterfall called Kirkjufellsfoss. Between September and January. The sky in the backdrop of Kirkjufell would also display magical Northern Lights. It’s an unreal experience. It may not be the height peak in The Alps. 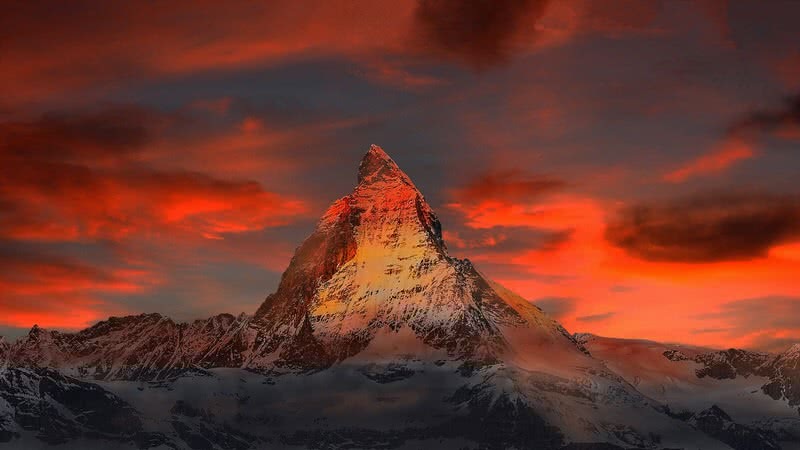 But, there are no other peaks in the Alps or in the rest of the world is as beautiful as Matterhorn. It’s truly a magical attraction. This pyramidal shaped mountain situated on Swiss -Italian border. 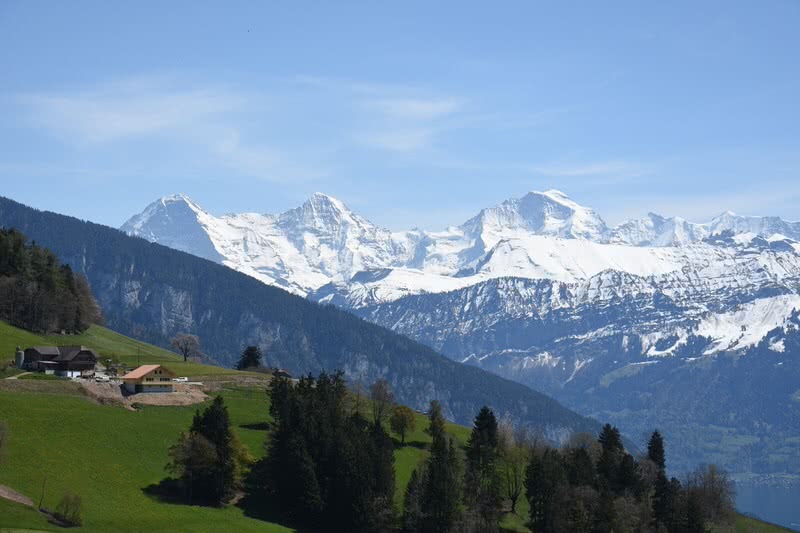 Rising 4478 meters above sea level it is one of the highest peaks Switzerland. The faces of Matterhorn are steep. So, the climbing could be difficult.